There is nothing more embarrassing to kill the buzz of a first date or a night out with friends than bad breath. At best, halitosis (the medical term for bad breath) is pervasive, mortifying, and difficult to mask in public. At worst, a sour mouth odor is a symptom of a medical problem, and not just a result of the garlic bread you ate for dinner. Keep reading to learn more about the different causes of halitosis. Food and drink: There are a number of foods and beverages that are strong enough to leave a lingering odor on your breath – onions, garlic, spices, coffee, and alcohol are a few of the most common. This type of halitosis is common and reversible, although popping a breath mint will only mask the smell temporarily and is not a permanent solution. Food with strong flavor can continue to expel odor from the lungs while it is being digested in the body. Only when food passes through the body completely will the bad breath resolve itself. Smoking and tobacco use: Smoking and tobacco use leave a distinct odor on the breath that lingers long after the cigarette has burned out. Smoking also dries out the mouth, irritates the gums, and increases your risk of gum disease. And because smoking affects your sense of smell, you may not realize you have bad breath at all. Crash diets: Many crash diets that promise quick results come with a number of undesirable side effects attached – and halitosis could be one of them. One of the most popular crash diets is the low-carb intake, where the body is forced to break down fat for energy in place of sugars. This breakdown produces chemicals called ketones, which have a strong odor and can be smelled on your breath. Oftentimes, people in a state of ketosis report a fruity taste in their mouths. Poor dental hygiene: Your body begins to smell bad if you do not bathe it regularly – your mouth begins to do the same if you are not cleaning it daily. There are hundreds of bacteria living inside the mouth and on the tongue that wait to feed on food particles left trapped between the teeth after eating. When sticky plaque builds up on teeth, the bacteria can cause mouth odor. Tooth decay and caries (cavities) can also produce a nasty smell. Ill-fitting dental equipment: Poorly-fitting appliances – like mouth guards, retainers, or dentures – can cause chipped teeth, mouth and gum irritation, and loose fillings, all of which can produce a bad smell in the mouth. And like teeth, dental appliances can trap old food and bacteria that give off an odor if they are not cleaned regularly. Dry mouth. Dry mouth is a condition that occurs when the mouth cannot make enough saliva. 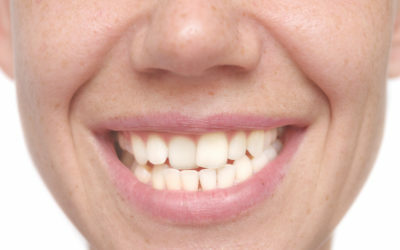 Everyone has experienced dry mouth at some point in their lives; it happens naturally during sleep and leads to stinky “morning breath.” Saliva works around the clock to clean out the mouth and keep it moisturized – when there is not enough of it, the inside of your mouth isn’t being cleaned as much as it needs to be, and bad breath ensues. Dry mouth can be caused by dehydration, smoking, certain medications, excessive mouth breathing, and salivary gland problems. Chronic dry mouth can make swallowing, chewing, and speaking difficult. Gum disease. Persistent bad breath and/or a nasty taste in the mouth is one of the first signs of gum disease. Gingivitis begins when a sticky film of plaque forms on the teeth and irritates the gumline. 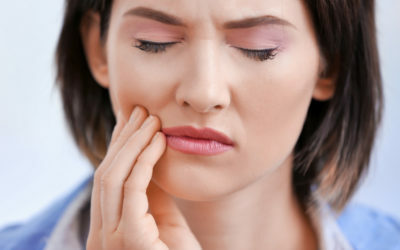 Click here to read more about signs and symptoms of gum disease, and when to seek treatment. Medical conditions. 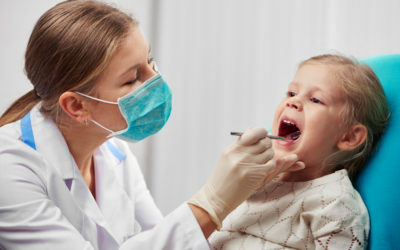 Halitosis may be a sign of a number of different medical conditions, including: mouth infections such as oral thrush; liver or kidney diseases; gastric reflux (GERD); tonsillitis or tonsil stones; sinus conditions like post-nasal drip and chronic sinus inflammation; respiratory infections; and diabetes. Talk to your dentist if you have persistent bad breath that cannot be resolved with at-home oral care remedies. A poor oral care routine is the most common reason behind halitosis. You can reduce your chances of bad breath by brushing your teeth for two minutes, two times a day, and flossing once a day before bedtime. Use mouthwash once a day to catch any lingering bacteria and remove mouth odor (click here to learn how to choose the right mouthwash for your needs). Clean dental appliances regularly between use. Keep saliva moving and your mouth moisturized by drinking plenty of water and munching on healthy snacks like apples and carrots. And finally, do not skip out on routine dental exams with your dentist – if it is time for your next check-up, call Boyett Family Dentistry at 863-294-9200 to schedule an appointment today.